At the end of June 2013, the idea was born to create a workshop for the generation of inspirational and innovative ideas to fill the new housing needs in Berlin. Invited international architecture offices were given the task of providing intelligent examples of affordable housing and creating solutions for increasing density in existing neighbourhoods. On 13 and 14 February 2014 the participating architects will present their final design proposals. From the 5th of March 2014 onwards, all the work will be publicly exhibited in HO Berlin and simultaneously published on an internet platform. All interested parties can thereby contribute their views and help determine the results of Urban Living. Invitation, Idea Workshop Urban Living here! View the Baupiloten Contribution to Urban Living here! 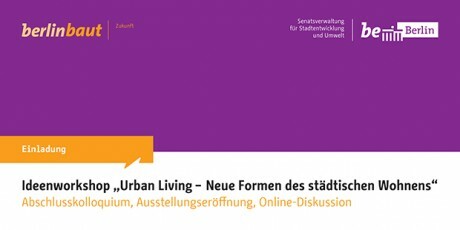 View the online diskussion platform for Urban Living here!